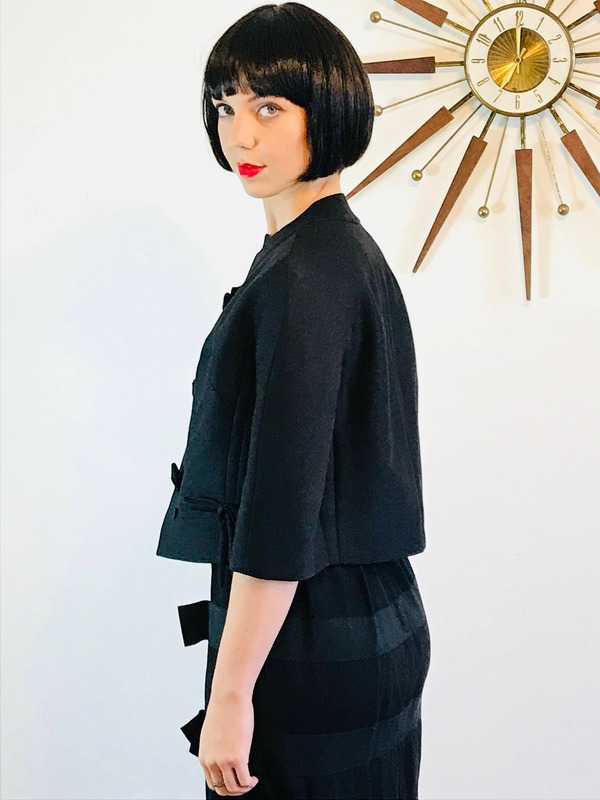 This is a spectacular vintage 1950s cropped black! 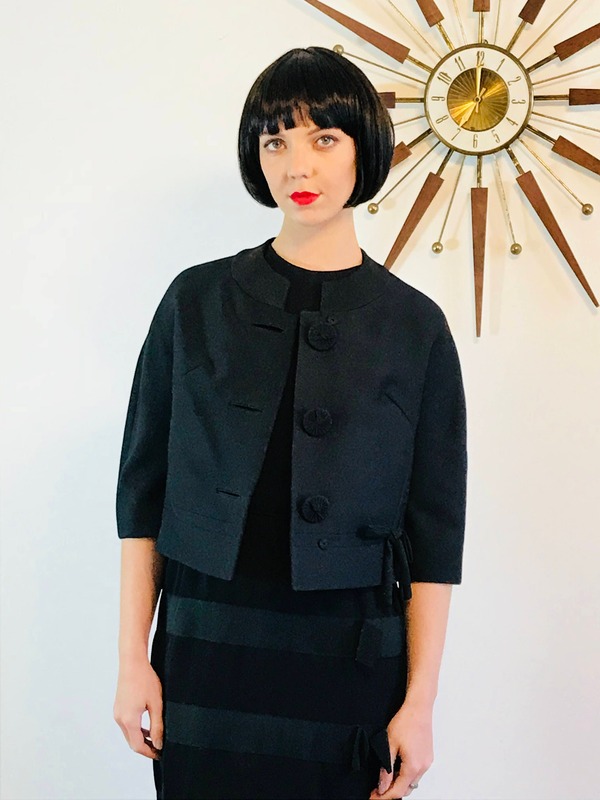 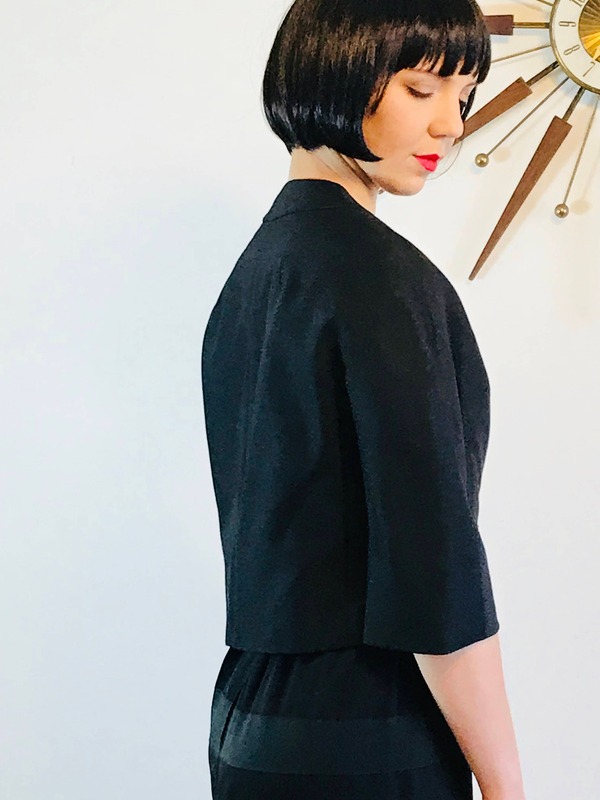 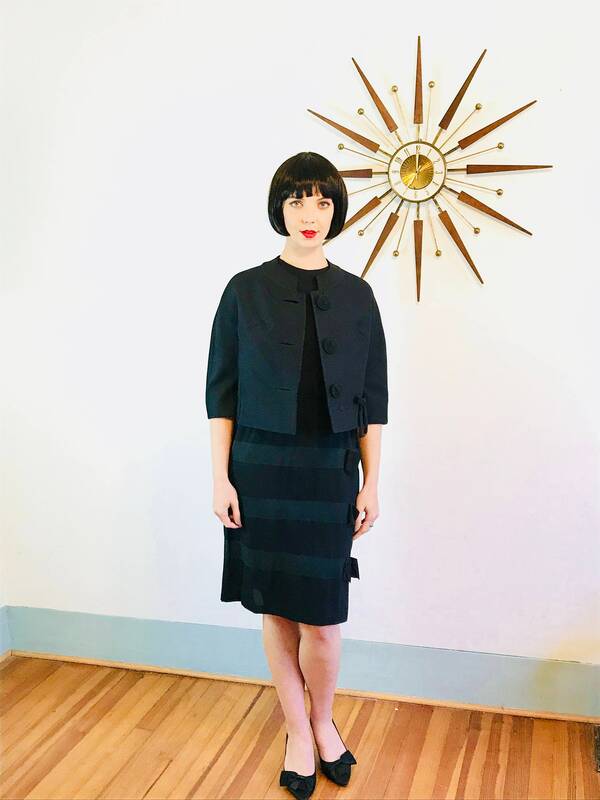 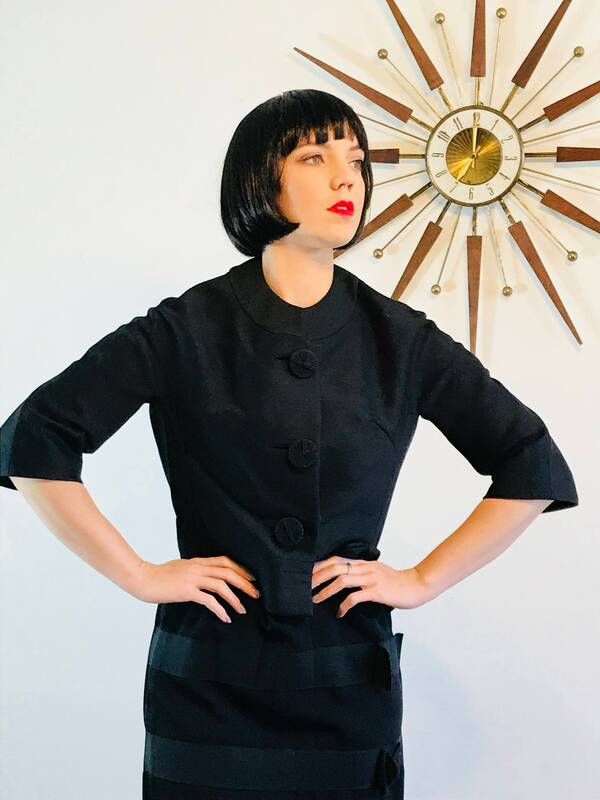 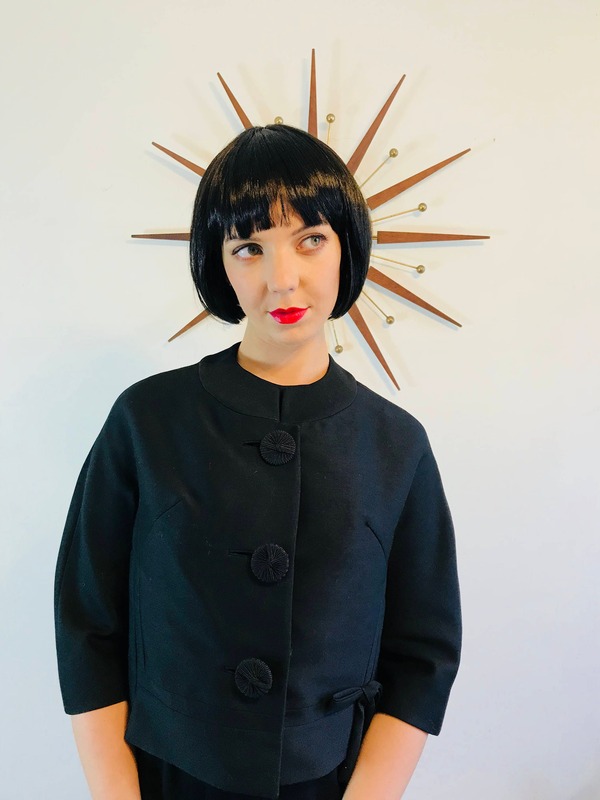 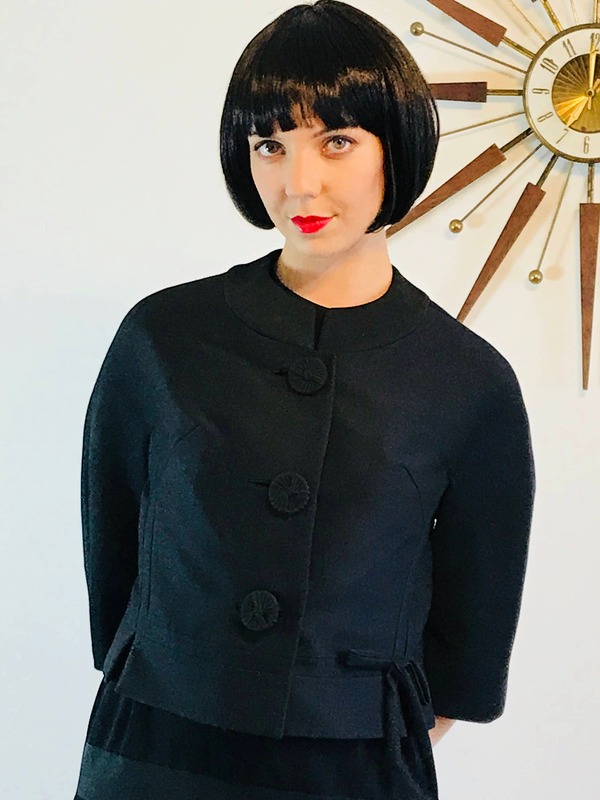 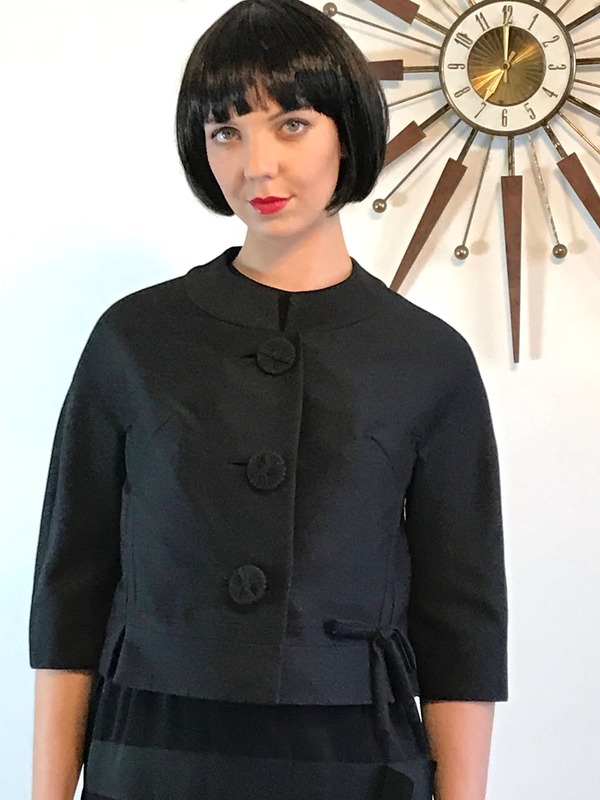 This short 50s jacket has a classic boxy cut with three quarter sleeves and three black buttons down the front! 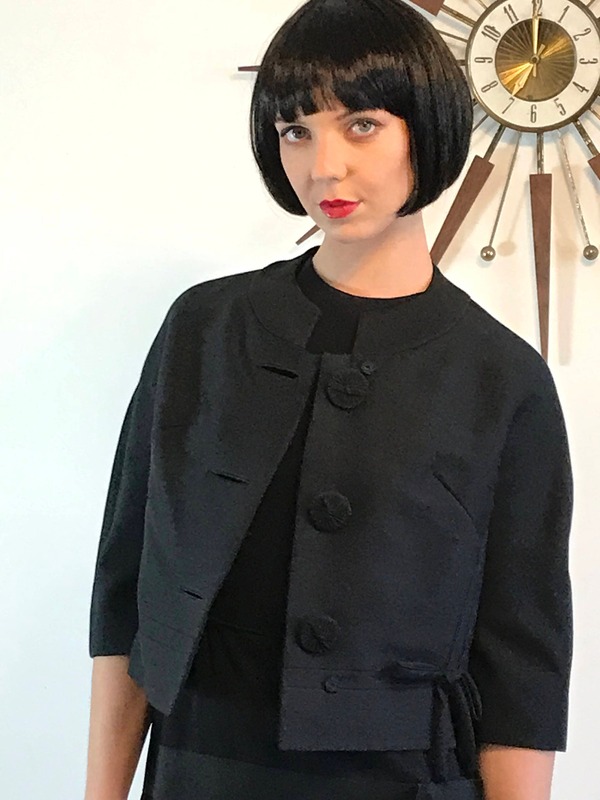 The fabric is a textured weave, and the jacket is fully lined in a lovely black satin. 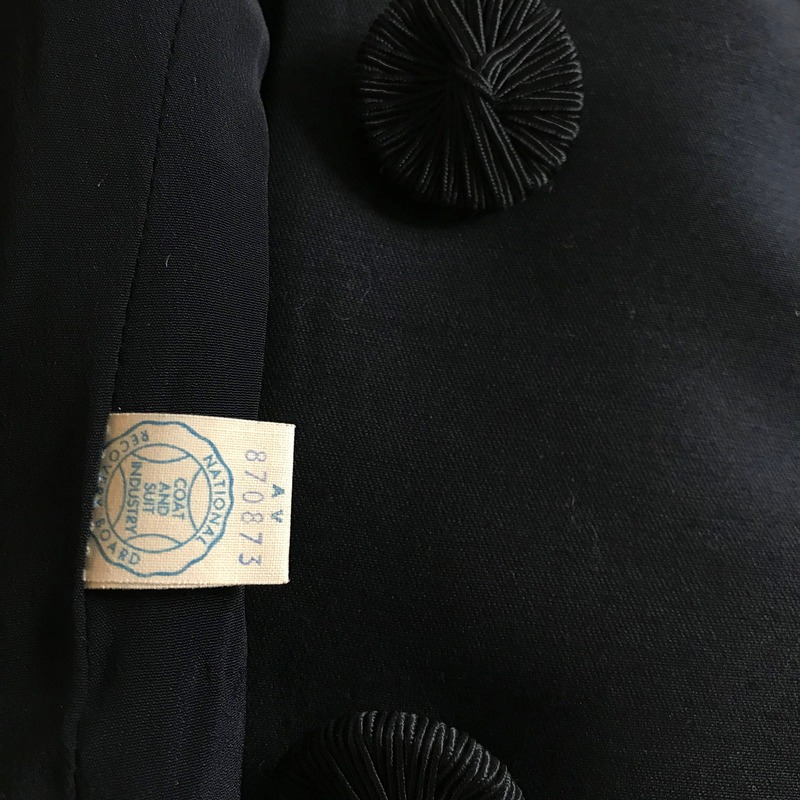 There are two snaps along with the buttons, and a cute little fabric bow on the side!